Triangle Pool Services offers pool cleaning in Palm Harbor that is efficient and leaves your water crystal clear. Your amenity is your escape from the world, your little piece of paradise that needs to be cleaned at least once a week. If the responsibility is left to you having to do it weekly, your paradise becomes a burden; another task you have to tackle after the stressful day you have already had. That does not sound like someone who is enjoying their luxurious pool. We can take care of all the hassle for you while you sit back and relax. Tackling a cleaning project can become expensive fast. You have to purchase the equipment and the chemicals. The worst part of doing this by yourself is that you would have to purchase the chemicals weekly in order for your amenity to stay clean. But why would you go through all of this when you can just call Triangle Pool Services for pool cleaning in Palm Harbor. We already have the equipment and chemicals. We have dedicated our time into this business to do the things you should not have to do. You did not purchase a house with a pool just to spend the majority of your time cleaning it. No, you bought the house because you wanted to spend the majority of your time enjoying it with your friends and family. The most beautiful aspect of a pool is the sapphire blue water. You can maintain this color with pool cleaning in Palm Harbor. 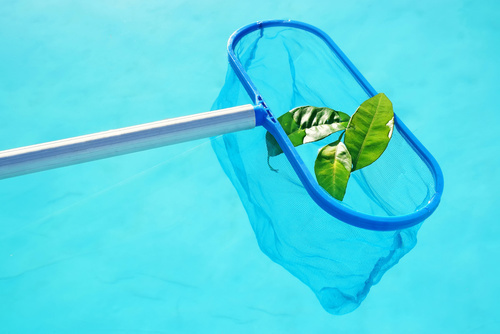 If you have had your pool for a while and have let a couple of weeks go by without cleaning it, you will start to see the walls getting dirty and the floor accumulates dirt. All of this tinges the color of the water transforming it from that sapphire color to a more greenish color. The longer you wait to clean it the dirtier and darker the water gets. Also, the longer you wait to clean it, the less likely you are going to want to clean it. Instead of allowing this process to happen, allow Triangle Pool Services to take care of everything. What sets us apart from the other businesses that offer pool cleaning in Palm Harbor is that we care. We care about the condition of your pool and we care about your satisfaction with our work. We are not a business that just goes in and out of your house to get a job done and leave. Our team likes to interact with our customers and make them feel comfortable with the fact that they are opening up their backyard to our professionals. While we are doing our job, we are respectful and courteous, so as not to disrupt any of our customers as they go about their daily business. We want you to be proud of hiring a business such as ours to take care of your favorite amenity. Paradise always has a price, but we make that price cost effective. Remember, if you were to do the work yourself, you would have to purchase the chemicals weekly. We have everything ready to go. Allow the professionals at Triangle Pool Services to do your pool cleaning in Palm Harbor. Your friends and family will love the fact that they can jump right in whenever they please and take comfort in the fact that it is always clean and crystal clear. We will vacuum your floor and walls, take out any debris, and shock your pool weekly to maintain your oasis. Call us today to get more information at (727) 531-0473.